Louis Camacho of Pleasant St., Winthrop passed away at home on June 26, 2018. He was 71 years old. Born in Winthrop he was the beloved son of the late Theresa (Graham) and Louis Camacho. 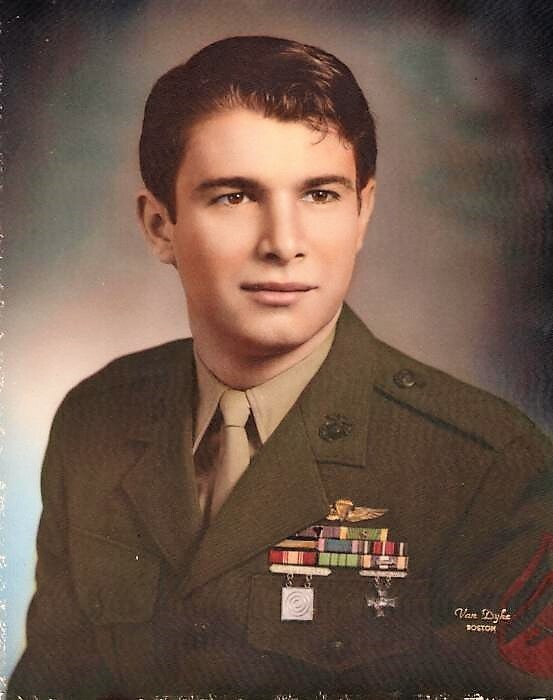 A lifelong resident of Winthrop he enlisted in the United States Marine Corps at an early age serving during the Vietnam War. 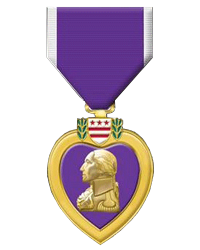 He was awarded the Purple Heart for wounds he received in combat action, while in support of the Forces of the Republic of Vietnam in their struggle with the insurgent communist (Viet Cong) on May 28, 1967. He also received the Bronze Star Medal with Combat Distinguishing Device for his courage, resolute determination and unwavering devotion to duty at great personal risk in keeping with the highest traditions of the Marine Corps and of the United States Naval Service. After his honorable discharge he went on to become the proprietor on Sound Systems in Winthrop Center where he specialized in electronics. He also expanded the business in later years offering movie rentals. He also expanded the business in later years offering movie rentals. For many years he raised donations and help set up the Winthrop Fireworks that were held every 4th of July. That tradition that he started is still continued today. He was the devoted husband of the late Barbara (Skomro) and the loving father of Nick Camacho and his wife Savannah of Winthrop. Dear brother of John Camacho and his wife Joan of Canton. Cherished grandfather of Caelen, Braeden and Xander. Stepfather of Nick LoConte of Winthrop, Vincent LoConte of Winthrop and Maria Minichello of East Boston. Family and friends are cordially invited to attend the visitation from the funeral home on Friday, June 29, 2018 from 4:00 to 8:00 PM. The funeral will be conducted from the funeral home on Saturday, June 30, 2018 at 9:00 AM followed by a funeral mass in St. John the Evangelist Church 320 Winthrop St., Winthrop at 10:00 AM. Interment in the Massachusetts National Cemetery will be private. Memorial donations may be made to the Chelsea Soldier's Home 91 Crest Ave., Chelsea MA 02150.